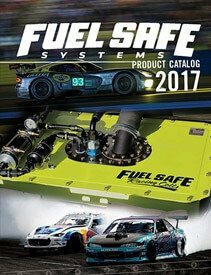 Fuel Safe: Building race winning safety fuel cells for more than 30 years. We provide our products to top teams in INDY CAR, NASCAR, World Rally Championship, The World of Outlaws, The American LeMans Series, SCORE and many others. Our products meet the demanding certification requirements of the FIA, SFI, USAC, IMSA, SCCA, NHRA and NASCAR. The relentless pursuit of quality, safety and performance drives everything we do at Fuel Safe. We work at the cutting edge of material design and product development to deliver the world’s lightest, safest and most performance oriented racing fuel cells available. Our sales and engineering teams have partnered with racing designers and engineers to create race winning designs for top teams around the world. Download our catalog here or shop our store for a complete list of products. Contact us today to find out more about the Fuel Safe difference: 800-433-6524.